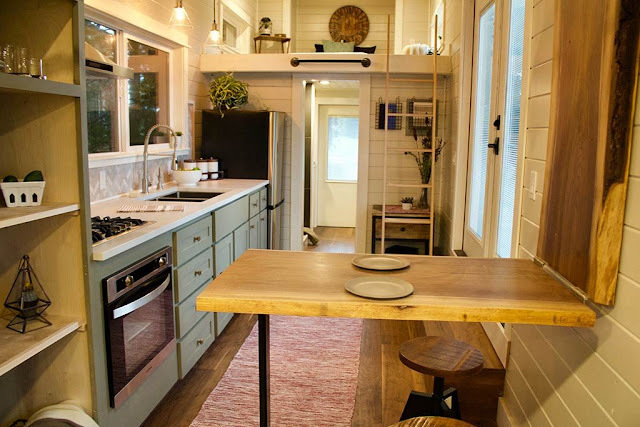 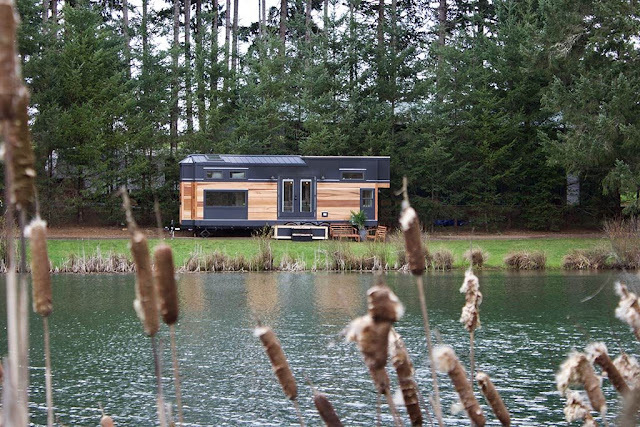 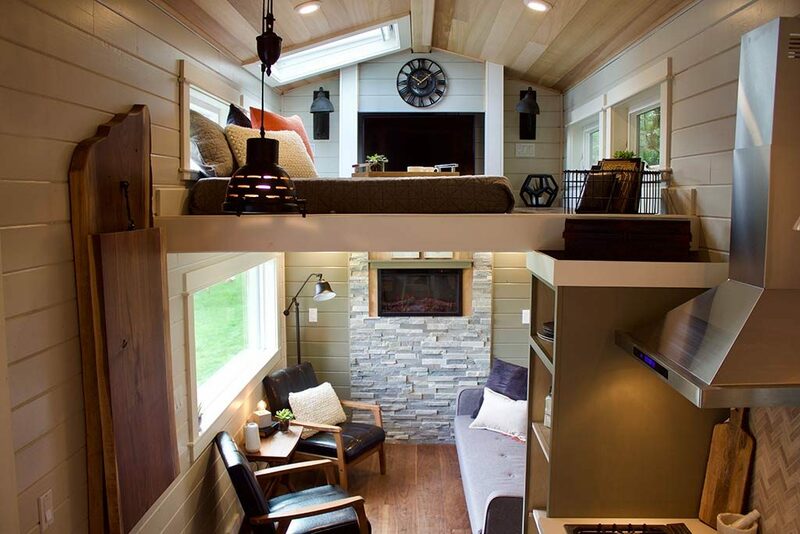 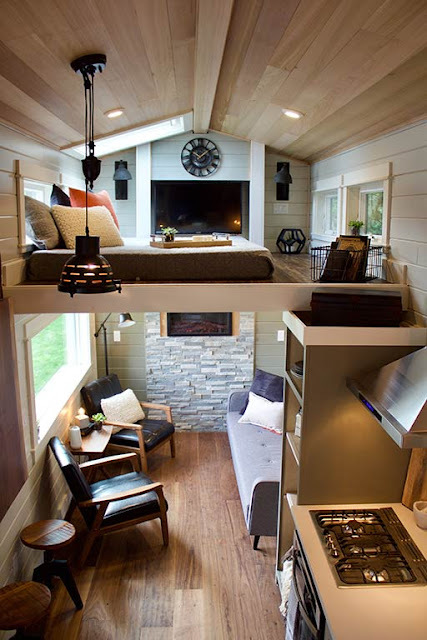 This one-of-a-kind tiny house brings the outdoors inside with a nature inspired interior! 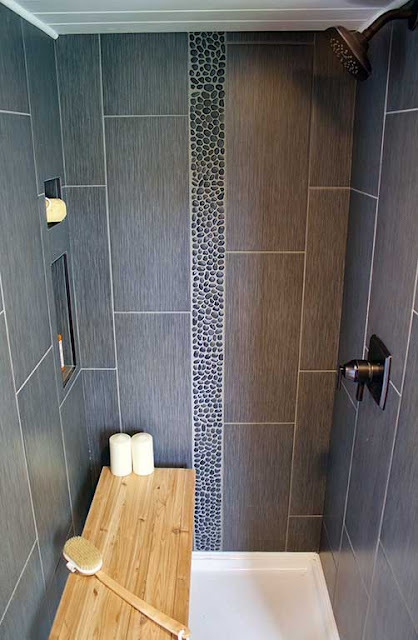 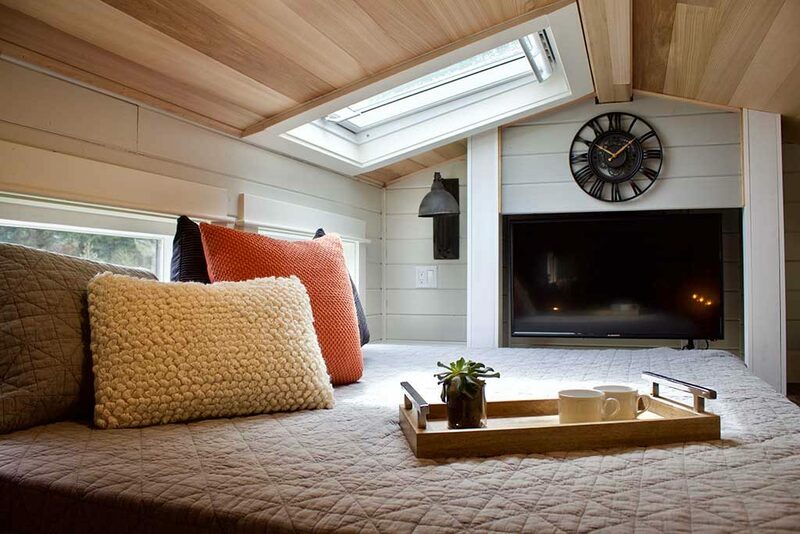 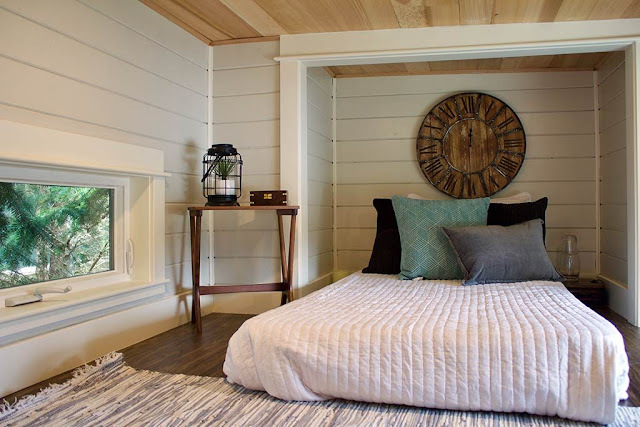 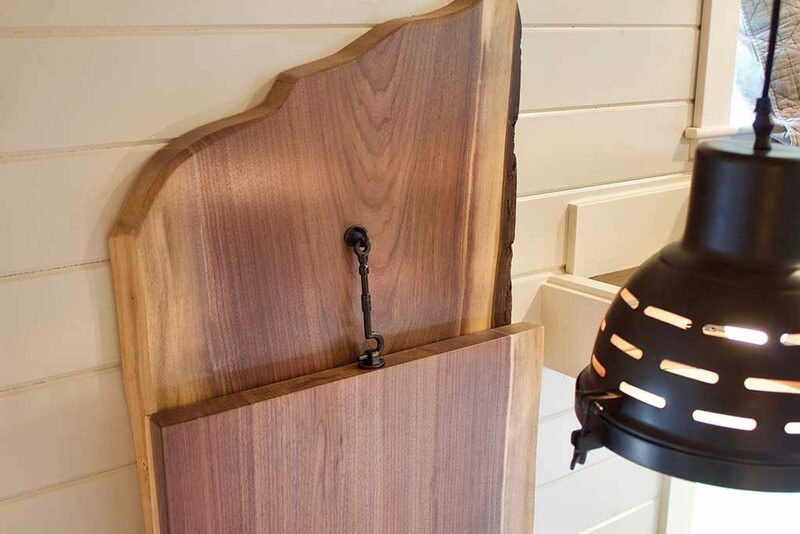 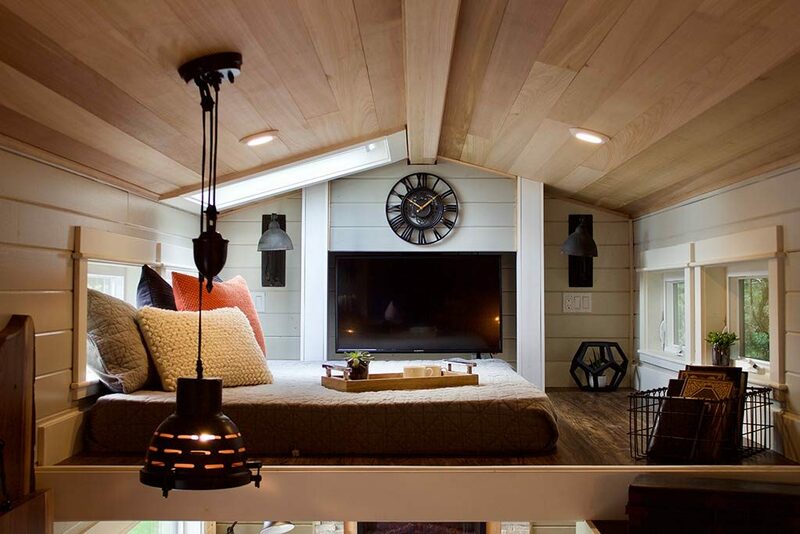 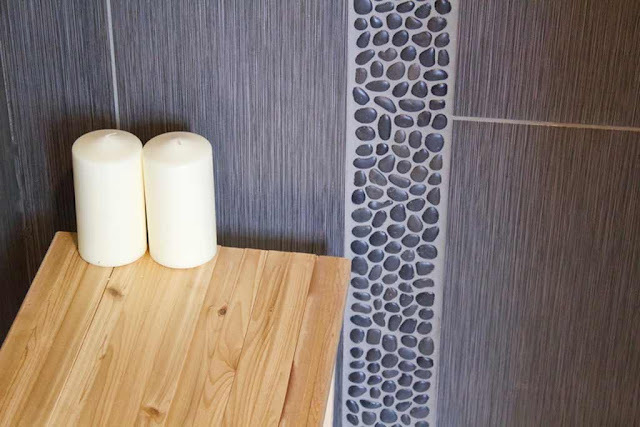 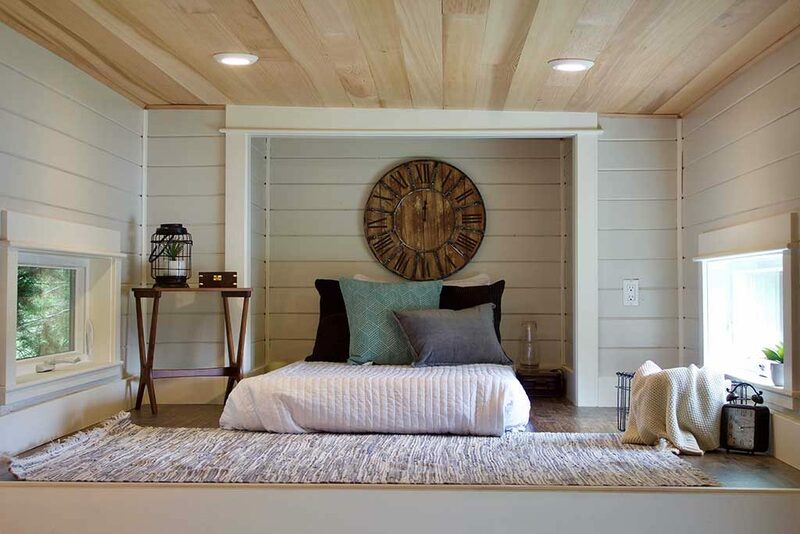 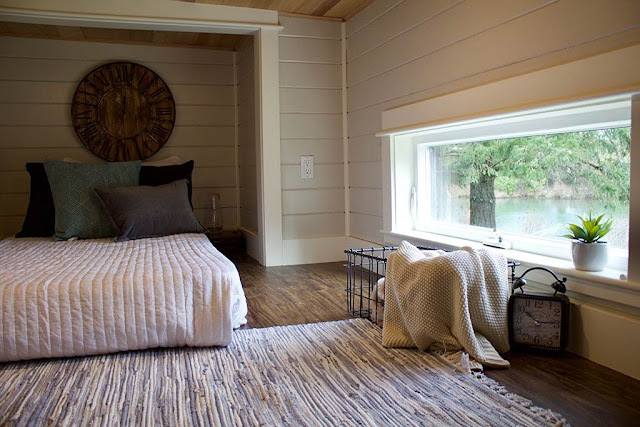 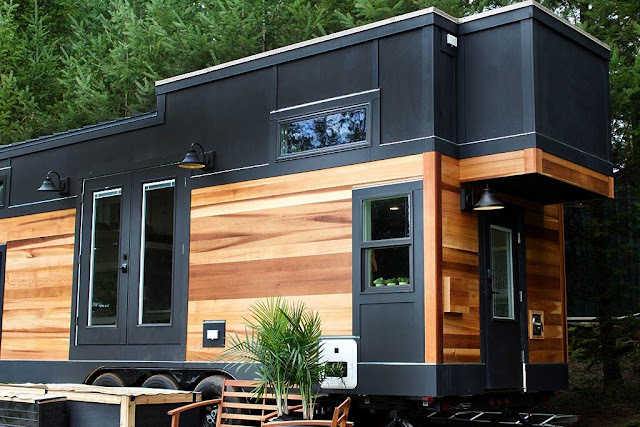 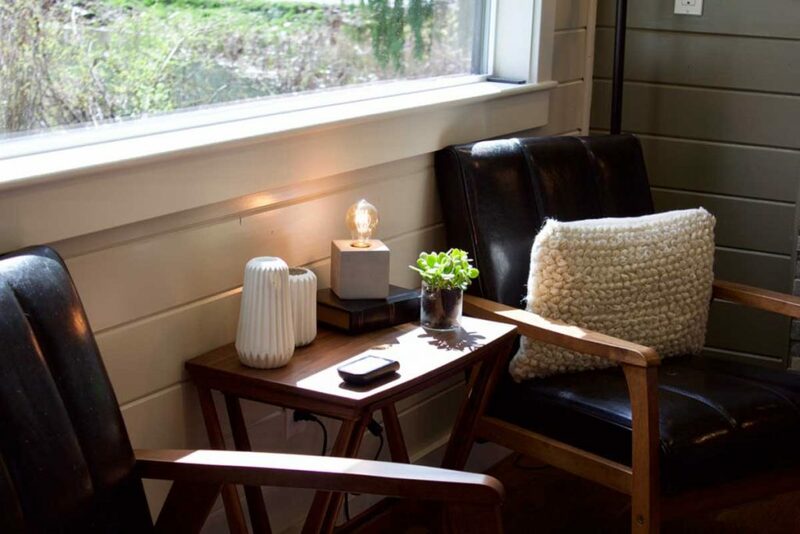 The home was designed and built by Tiny Heirloom for their show on the DIY Network called Tiny Luxuries. 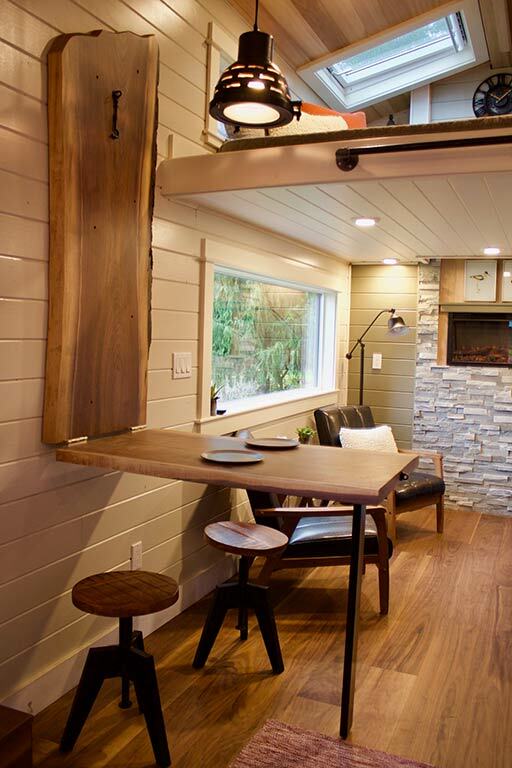 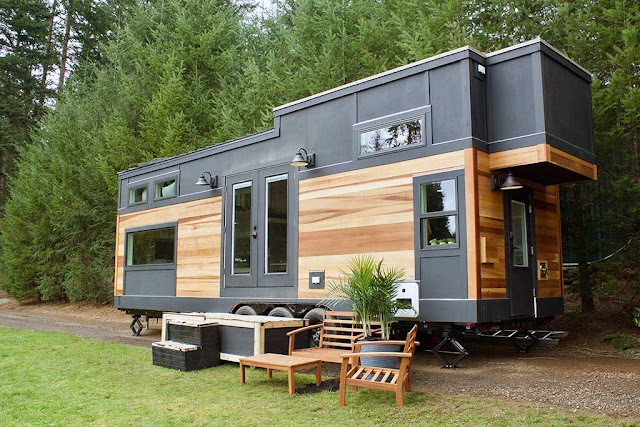 The 240 sq ft home features a functional design that beautifully reflects its owner's love of the outdoors. 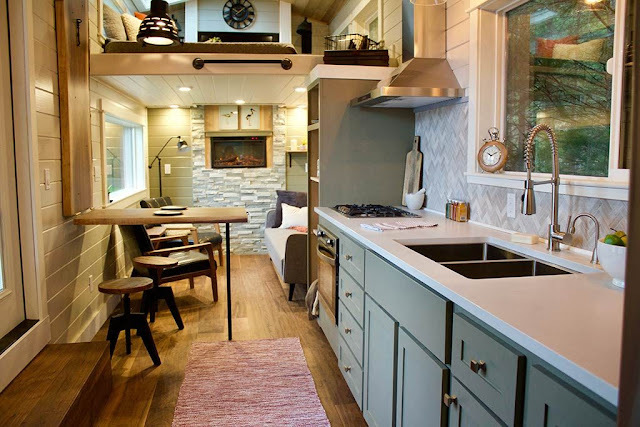 There's also a full kitchen with undercounter and shelf storage, a foldable dining and work space, a living room, bathroom, a loft bedroom, and a second loft for storage!